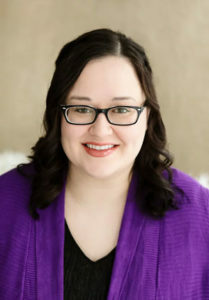 Dubbed a “triple threat” by readers, Danielle Rose dabbles in many genres, including urban fantasy, suspense, and romance. The USA Today bestselling author holds a Master of Fine Arts in creative writing from the University of Southern Maine. Danielle is a self-professed sufferer of ’philes and an Oxford comma enthusiast. She prefers solitude to crowds, animals to people, four seasons to hellfire, Nature to cities, and traveling as often as she breathes. Can you tell me about your writing journey? I began writing as a child, but I didn’t start publishing until much later. I sold some flash fiction pieces to various magazines while in undergrad, and in 2015, about eight months after graduating from graduate school, I self-published my first novel. The following year, I signed with a small press, Oftomes Publishing. Over the next few years, I published five novels, one of which reached the USA Today bestseller list. In January of 2019, I signed a multi-book deal with Waterhouse Press. Are you represented by a literary agent? No. I received both of my publishing deals unrepresented. Will your books become films/TV shows/graphic novels? Maybe! My literary and film rights are being managed by my publisher, Waterhouse Press. Interested parties should reach out to them to discuss acquisition. Their email is [email protected]. Where should I direct interview/appearance requests? All requests should be sent to Robyn Lee at [email protected]. If your request is for a school project, you can direct those interview questions to [email protected]. Can I send you something in the mail/by email?